If you have already adopted a dog from BROOD or if you are considering adoption, you may find this information helpful. All are PDF files requiring Adobe Reader. Another way to help with the adjustment period is to become an active participant in our organization and its activities. In September every year we hold our annual fundraiser, the BROOD Basset Ramble. We get together for activities and games as well as a picnic, raffle, auction and more! 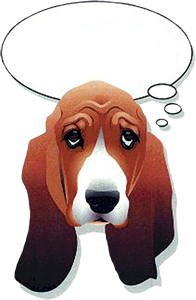 It's a great chance to meet other basset lovers and enjoy being around hundreds of basset hounds. Check out our website starting mid-summer or email our now! In addition you can help BROOD by signing up to become a member. Membership is $20 a year and may be paid online via Credit Card or Paypal or through the mail via check.